Although ‘Competitive Strategy’ was published back in 1980, this is still the best book for people seeking specific knowledge on how to assess companies or industries, evaluating risk by assessing those factors affecting the business environment and a study of the key factors that influence an investment. Michael Porter, a Harvard Business School professor, in this book focuses on two elements that he says are the keys to competitive advantage: cost leadership including proprietary technology and economies of scale) and product differentiation factors with the product attribute being the most important of them all. I would recommend this book to intermediate investors because the areas of trade it focuses on provide the solid foundation for understanding how companies formulate valuable and successful market strategies while others destroy even the little they had when they try a different approach. The Competitive Strategy is full of real-life examples that the author relates to and because the examples and illustrations are real-life portrayals, it is easy to understand and to apply the lessons learnt. As mentioned before, the book was written in 1980 hence the reason it is mostly recommended by the pioneers of modern commerce including local and international investors, managers and business coaches and lecturers worldwide. ‘Competitive Strategy’ is the best guide to learn business strategies, concepts, competitive advantage, technology innovation effects on business, the five forces, market differentiation and customer service. The basic idea the book is based on is that a company or business can only use one of the three generic strategies and may try to compete by spending the least on cost structure (take Wal-Mart, Ryan Air and South West Airlines as examples) while trying to convince average customers that their products and services are different and better in quality. If you don’t appreciate business ideas and examples from three decades ago, this may not be the best for you. However, if you have a creative mind that can easily relate situations and can learn from completely unrelated situations to gain a business advantage, you should read this book. 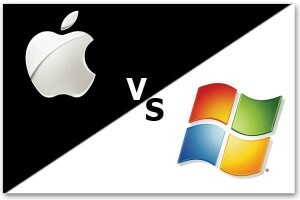 Porter talks of the then successful companies like Apple and their strategies but completely leaves out some companies that had already showed potential then, like Microsoft. What makes this book such a classic is that you can learn the strategies that companies used back then and compare how they ended up in the early 90s or even today, or how their strategies have changed since then to predict how the future will be like. The 30 years difference between the time of publication of Competitive Strategy by Michael Porter should not be an issue because the book is still just as beautiful, coherent, relevant and informative to a modern investor as it was 30 years ago. 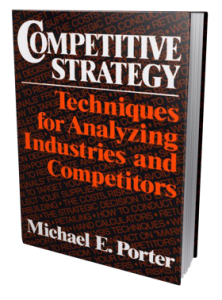 Porter’s ideas in this book are spectacularly simple, it is not every day that you read a simple book with complex competitive strategy ideas. I would suggest you read the beautiful preview of the newest edition to know, in detail, just what this book has to offer you.